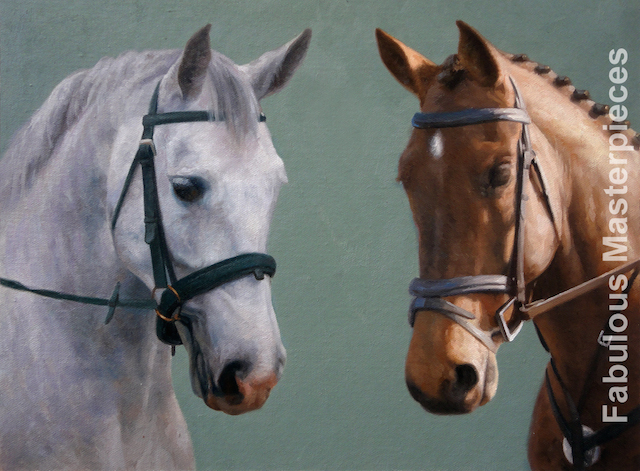 Your horse beautifully portrayed in oils taken from your photographs. Join our Mailing List to receive Exclusive Offers and be kept up to date with the Latest Art News! 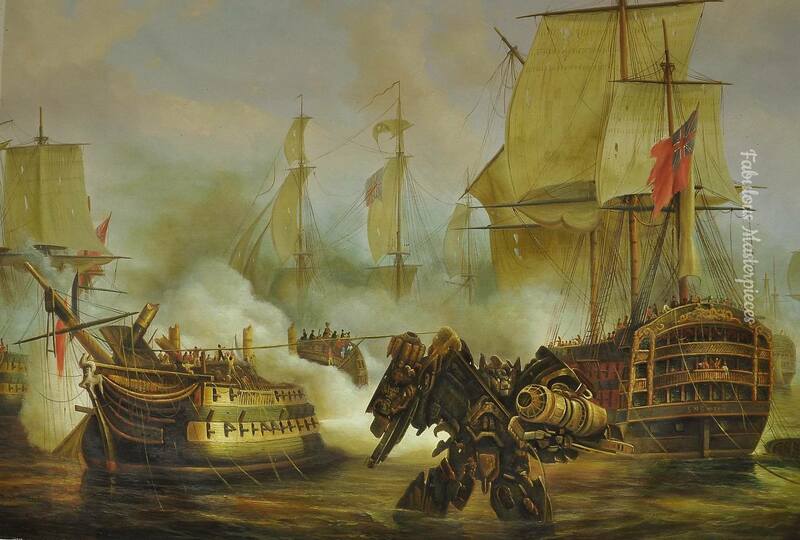 Have you seen our special offers on our fabulous reproduction oil paintings? Click here to save money on oil paintings that are already in stock! Pssssst....Did you know museums commission our oil paintings? Click here to have a look. Hello! I'm Tim. I'm one of the founders of Fabulous Masterpieces & behind me are some of our fine art reproductions. 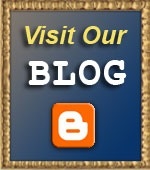 If you would like to know a bit more about us please click here. 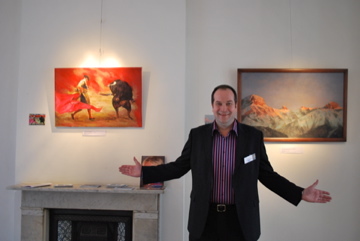 Would you like to see more photographs of our oil paintings insitu? Click here to view our insitu paintings. Television Coverage: Did you see us on Channel 4's The Restoration Man? Below is a short clip showing George Clarke along with our customers unveil an oil painting of Edward VIII that we painted for their period home. To learn more and to see the clip on a larger screen please click here. When Paramount Pictures asked us to painted the Transformers painting for the Transformers movie and the Dulwich Picture Gallery Prank....! 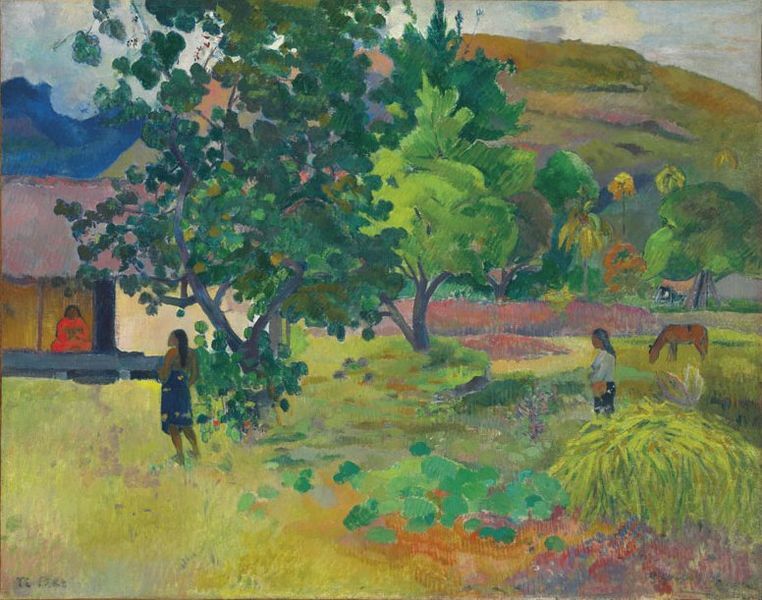 Gauguin's Te Fare sold at auction for just over £20 Million on 28th February 2017! Transform your old black & white photos into treasured oil paintings. 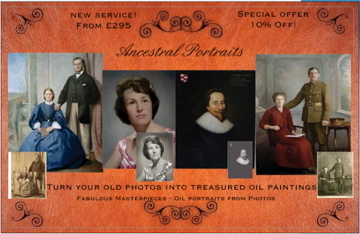 To see our ancestral portrait portfolio or to ask any questions please contact us. Like us, did you love the Chaim Soutine Portrait Exhibition at London's Courtald gallery? 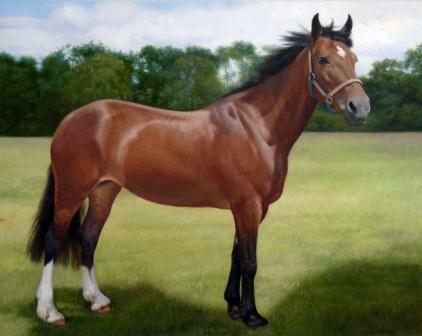 Why not commission a fine art replica of your favourite piece? 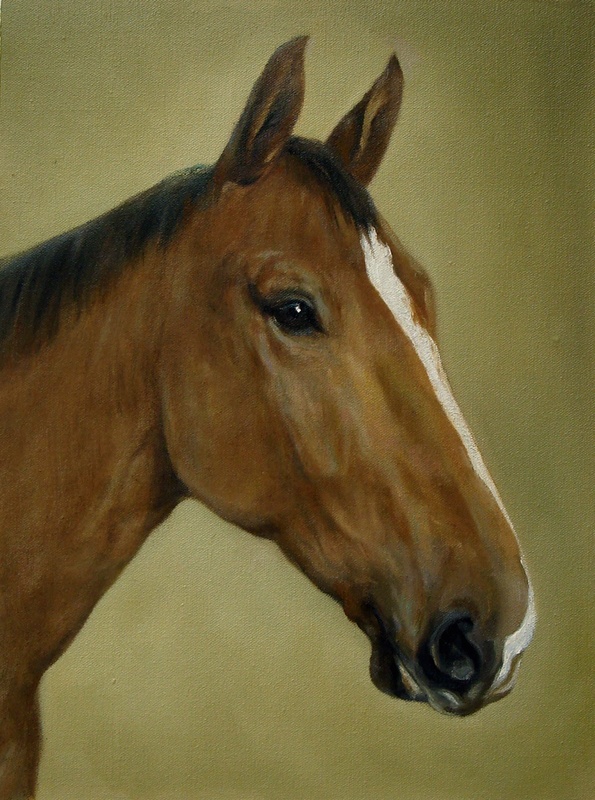 Capture the essence of your beloved horse in a beautifully painted oil portrait. Not only can you choose to have your painting commissioned in any size that you want, you can also choose the style! 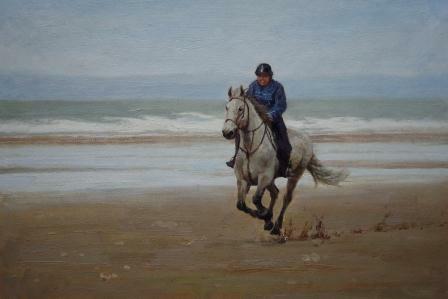 Perhaps you'd prefer it if your horse was painted in an abstract style or in an impressionist style, think van Gogh, Sargent or Monet. Perhaps you want to add something into the painting that wasn't there in the photo, or maybe you'd like to omit a certain object. 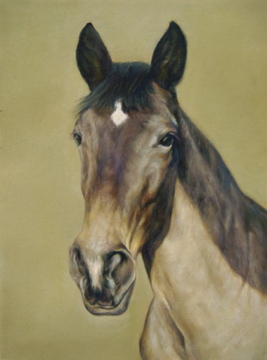 The Photo The Portrait 15" x 18"
The Horse's Portrait 12" x 16" Fliss' Portrait 12" x 16"
Fliss' owner, Emily says". : "The painting arrived before 1pm, just as you said. Thank you so much for your help, I just wanted to say that the service you provide was excellent, and the painting is amazing. Mum is so pleased. Thanks again we will be sure to recommend you in the future". 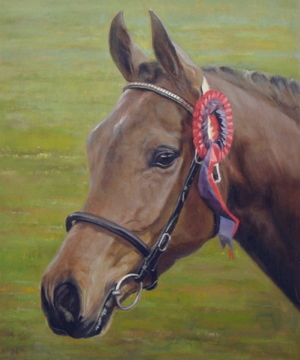 Horse portraits also make fabulous and special gifts be it birthday, anniversary or Christmas. 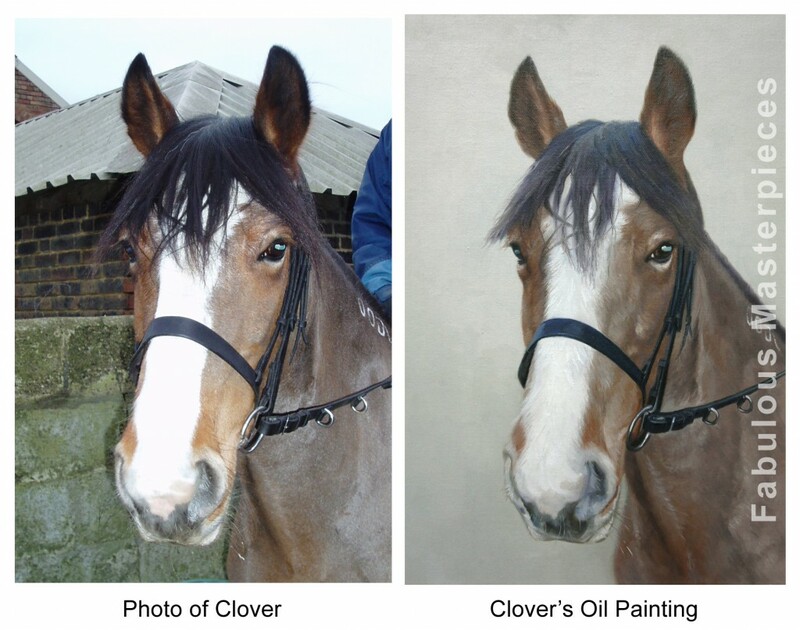 Please remember that horse portraits, on average take between 3-5 weeks to paint and for the oils to have sufficiently dried before we can safely deliver your painting. 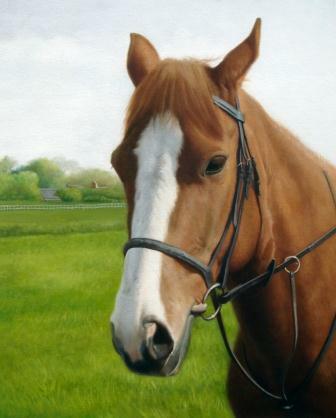 As you know, all our horse portraits are custom-made enabling you to choose the exact dimensions that you require. 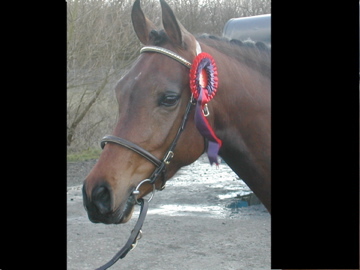 Perhaps, you have an old frame that you would like your horse portrait to fit inside? However, to give you an idea of popular sizes, below is a list of standard dimensions and costs. Delivery is free. 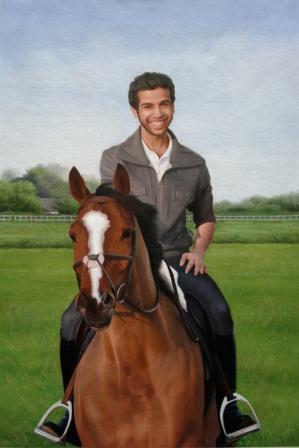 The quality of Fabulous Masterpieces' Horse portraits are extremely high. We're the first to admit that we are not the cheapest art company on the internet but we're certainly not the most expensive. However, we do believe that we're exceptional value for money and for the price you pay, you will not find better quality. Fabulous Masterpieces has been painting portraits for a very long time and the touching testimonials we keep receiving from our customers really does emphasize that the care and attention to detail that we put into hand-painting your portrait genuinely brings so much joy and happiness to the people receiving them. 1. 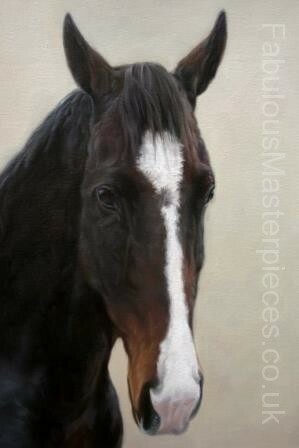 Email horses@fabulousmasterpieces.co.uk with your chosen photograph and if possible your desired dimensions. Fabulous Masterpieces will then get back to you with advice and offer suggestions on background and if you're not sure on size we'll be happy to advise you. 2. 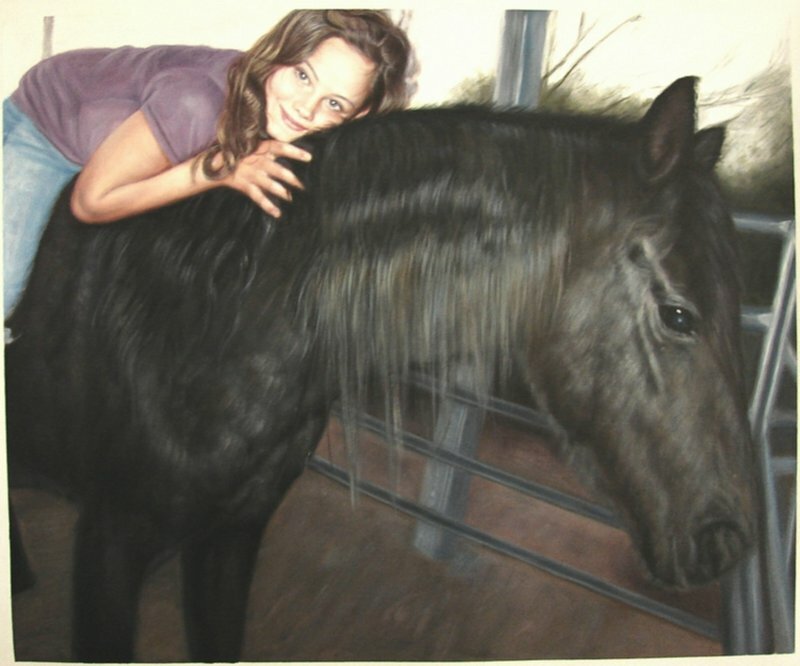 When all details are confirmed we will commission your portrait. Portraits, on average take between 4 - 6 weeks to be painted and for the oils to dry. 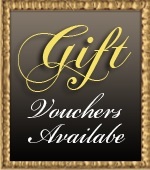 If your portrait is going to be a gift for a special occasion please do let us know. 3. Once your painting is completed we will take a high resolution photograph of your portrait and either email or post it to you for your approval. If you wish to make any alteration no matter how slight we will be happy to do so. We want you to be delighted with your painting! 4. Once the painting has been approved, we will arrange a time that is convenient for you to deliver your oil portrait. All our paintings are insured against damage and loss.